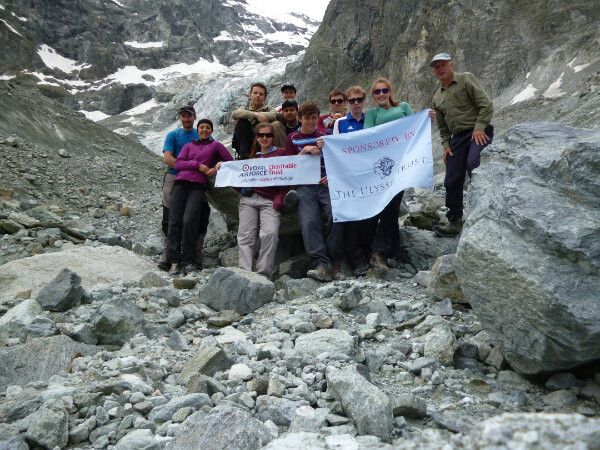 For our 4th annual visit to the Alps with the 1034 (Surbiton) Squadron Air Training Corps, we chose to go to Arolla in the Vallenois Alps. This is a well known, although remote high mountain centre with the campsite at 1970 metres above sea level. This year we had none of the luxuries of lifts, all the climbing had to be by our own efforts. Camping Petit Praz claims to be the highest campsite in Europe and Marie and Joseph made us very welcome. For the first day’s walk we caught the bus down to Les Hauderes and walked back, taking in the delightful Lac Bleu. The second day was a bit more serious and we climbed up to the Plans de Bertol, enjoying the views of Mount Collon, the Haut Glacier d’Arolla and the Glacier de Bertol. We saw marmots and a chamois and also enjoyed some of the late snow. 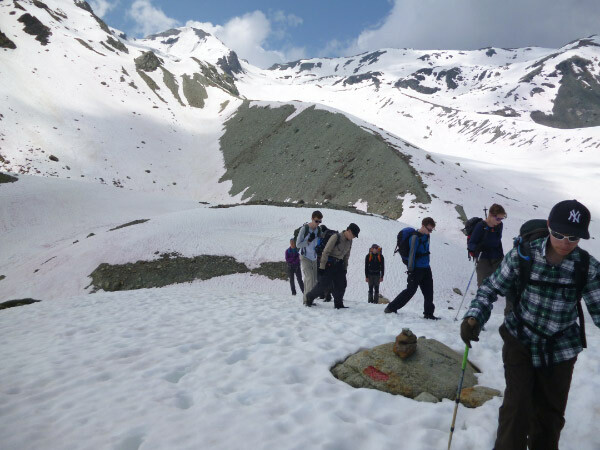 The late snow had forced us to modify our plans and this now included a walk to the Cabane des Aigouilles Rouges with an overnight stay. Again there was plenty of snow around but it was all soft and with easy runouts (if you slipped you would not be in any great danger). We nearly had the hut to ourselves and we enjoyed the hospitality if not the primitive toilets! The walk down was good with plenty of snow and then the opportunity to look at the flowers and plants as we descended through the altitude zones. This included identifying Arolla’s own pine, the ‘Arolla Pine’ (pinuscembra). Although we had been near glaciers on the second day, we did take the opportunity to walk to the base of Glacier d’Arolla. It is always quite a humbling experience seeing the shear scale of the ice carving through the rock and its ability to carry tons of rock and debris. On the final day we went up to the Cabane de la Tsa for lunch. The path up from the south was good as was the start of the northeast path down. 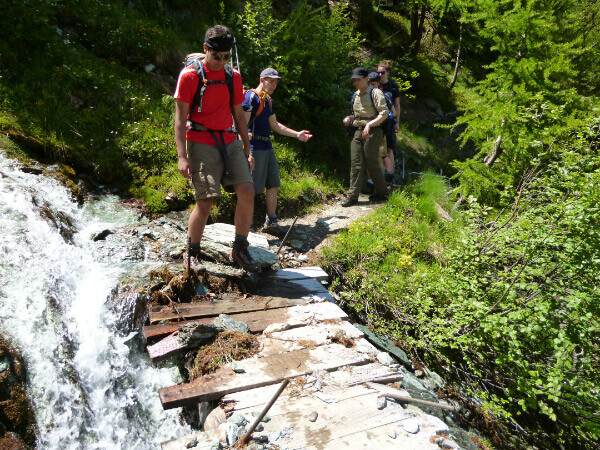 However further down the northeast path was not well maintained and would not be recommended. Catering was particularly awkward to manage with fresh meat not keeping well in the heat and having to avoid pork (and sausages, salami etc) products in the cooking (one our cadets did not eat pork for religious reasons). Arolla is quite small and the nearest butcher was a drive down the valley to Les Hauderes. 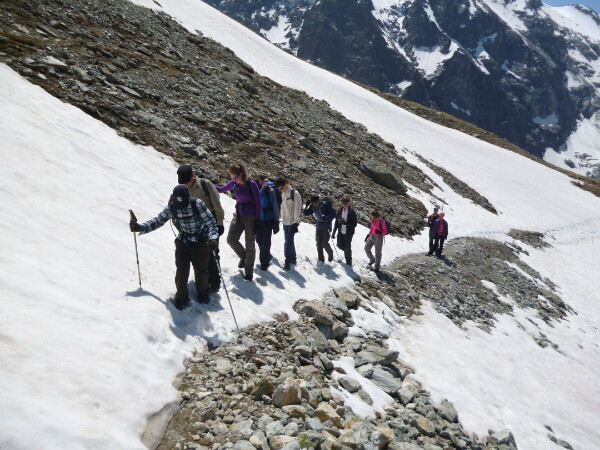 The camp was quite a challenge for the 16 year old cadets, living in a different culture, walks with typically 1000 metres of ascent, different food, dealing with the basics of the alpine hut and managing the showers (2 SFr gave you about 3 minutes). One cadet said of the trip “It was hard work at times but it was well worth it for the fantastic views at the top which will remain with me for the rest of my life. 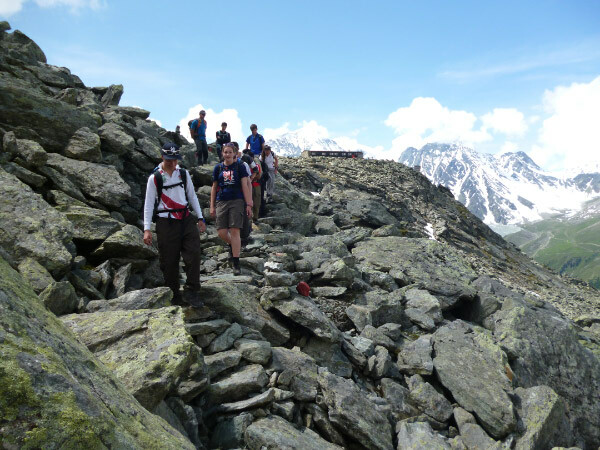 It was a deeply rewarding experience.” Another said “Alps 2013 was an awesome week with loads of memories and it was one of the best things I’ve ever done with the Air Cadets”. A third said “It challenged me, and I can certainly say it was one of the most memorable trips of my life so far”. What more can we say? I would like to thank the other staff, Danny and Hayley and all the cadets, Beth, James, Matt, Osama, George, Sidney, Alex and Laura for making it such a good trip. I would also like to thank the Ulysses Trust, Headquarters Air Cadets and the 1034 (Surbiton) Squadron CO, staff and committee who supported us.